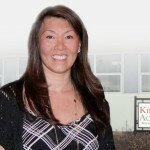 Pamela Maxwell and Kathleen Naugle opened their Kiddie Academy franchise on December 17, 2007 in Allentown, New Jersey. The two women’s compassion for working moms has given them the determination to provide the best care possible to their families. Their commitment to being onsite every day and proving parents with whatever assistance and services they need has earned them tremendous success. Working together in corporate America, Pam and Kathy were struggling with “mommy guilt” of trying to raise a family and climbing the corporate ladder. They soon realized they wanted to start a business in the child care industry where moms would not feel conflicted about being in the workforce and be confident with their child care choice. With their children in child care, Pam and Kathy were familiar with the child care franchise opportunities. After researching and meeting with several companies, the two women were impressed with Kiddie Academy’s willingness to review their ideas for their academy and treat them as business partners. After their positive and engaging meeting with corporate staff, they decided on opening a Kiddie Academy location. The women’s true commitment to their business has resulted in a stellar reputation within their community. Their Kiddie Academy families, as well as community members, rave about how Pam and Kathy go above and beyond as care givers — whether it is opening on a weekend for a parent to retrieve a child’s belonging, or providing Mother’s Day gifts. Their focus on staffing has led to a mature, bright group of employees, and the classrooms are balanced with young and older staff members to create an excellent learning environment. 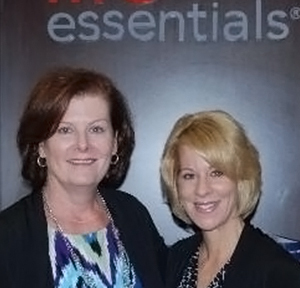 Pam and Kathy have won several awards over the years, including the 2014 Brand Champion.